Several new players to MLS by storm in 2015. Sebastian Giovinco lead the charge, Giovani dos Santos left his mark from the start and Andrea Pirlo dazzled wit his close control. Then there were other big names who drew thousands of fans like Frank Lampard, Stephen Gerrard and Kaka. However, none of them have experienced the type of success we’ve seen from the ageless wonder Didier Drogba. It seems like a no-brainer that Giovinco will win MVP this year and probably the Newcomer of the Year award as well. Kei Kamara will probably take home the Golden Boot for the most goals scored. If you gave Drogba a chance to play the full MLS season, he might just challenge for all of those awards. Through just nine career appearances in MLS, Drogba has scored nine goals and set up another one. He has been the talisman for Montreal since he showed up and almost single-handedly won Montreal the first match he played in. Montreal has been on the cusp of making the playoffs for some time now and still cling to the final seed in the East. Realistically though, I do not think Montreal would have made the playoffs without the addition of Drogba. Montreal has scored fifteen goals as a team since adding Cote d’Ivoire international and he has been responsible for two thirds of them. That kind of offensive output is exactly what the Impact needed to stay in that sixth spot. Some of the goals Drogba has been scoring have been absolutely spectacular as well. The first goal he put in against Chicago was impressive with his control and poise in the box. About four weeks later, he upped that initial goal with this beauty. 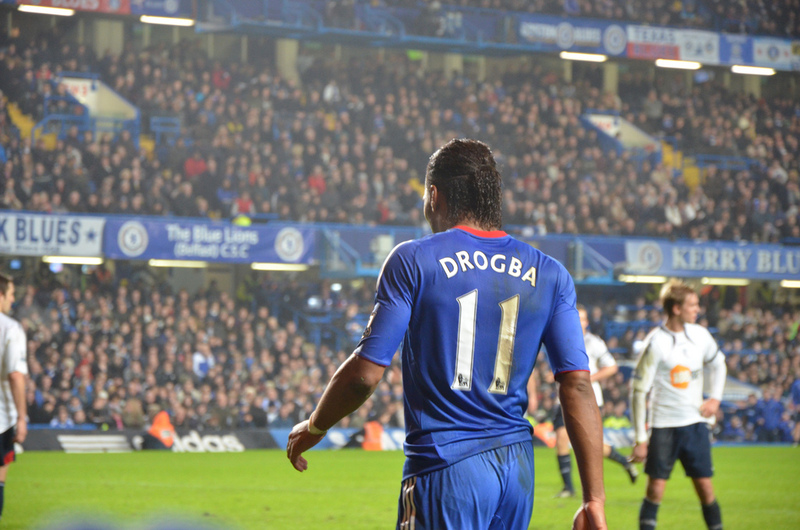 Drogba still possesses in excess many of the key assets needed to be a striker. His speed is still apparent despite nearing 40. His on the ball ability is incredible and his understanding of how to set up both the defender and the keeper to give himself the easiest goal is second to none. Many of Drogba’s goals have come as a result of his physique. In other words, he smashes the ball in or out races a guy to the spot. However, he still has that deft touch to bend the ball into the net from a ways out as well. This might be the best one he has scored yet. He sent that over the wall and curled it down under the bar with ease. Despite being a massive human being, Drogba still has plenty of finesse if he can do something like that. In those three videos, Drogba scored five goals, all of them of varying levels of excellence. That could be spliced together as a highlight reel of the best of some players’ seasons. For the former Chelsea man, that is what he did in three games. Obviously, this kind of production is just about unsustainable, especially for a 37-year old, but if Drogba can be a consistent scoring option, then this Montreal squad could make a run in the playoffs. For all of his success and honors throughout his career, you have to assume that Drogba would love to get his hands on an MLS Cup. Drogba’s season has been short, but it has been nothing short of spectacular. He is already tied for 19th in the league in terms of goals. He is also the only player to have started at least one game and averages more than a goal per 90 minutes played. Unrealistic over the course of a season of course but impressive nonetheless. With just two games left and Montreal clinging to that final playoff berth, look for Drogba to dazzle some more. He is quickly becoming the player to watch in MLS. ← Is Klinsmann’s time up?